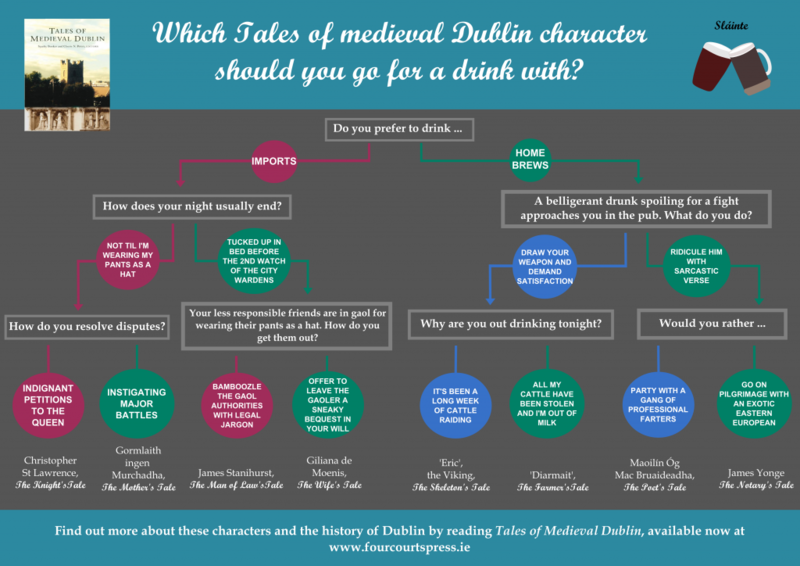 Which medieval Dubliner are you? The recent publication of the Tales of Medieval Dublin has provided a brief glimpse into the lives of many overlooked medieval Dublinners. From farmers to knights, from slaves to saints, these stories allow modern day Dublinners to read about their predecessors. 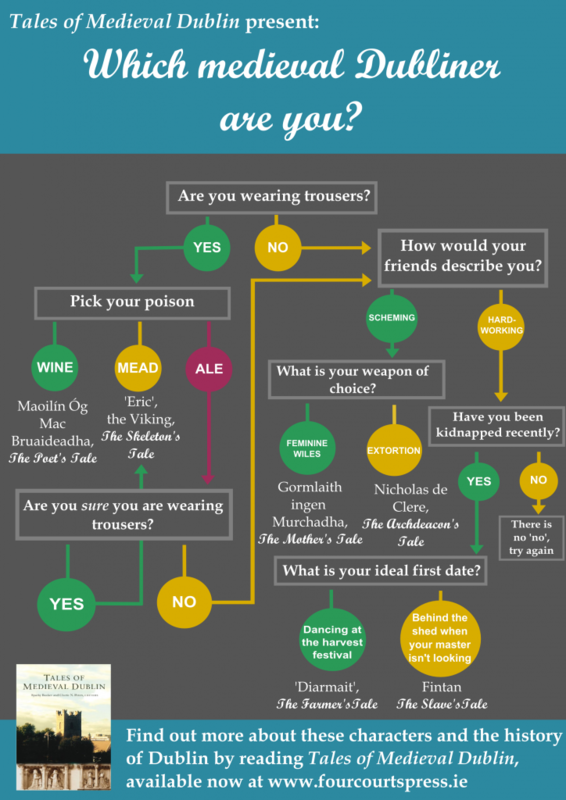 With that in mind, the editors have created some fun and inviting mini quizzes that allow you to find out which medieval person you are most like and which person would be the most fun to go to the pub with. We hope you enjoy these posters and happy reading!